Home Win WIN a Whirlpool kitchen appliance hamper, valued at over R39 000! WIN a Whirlpool kitchen appliance hamper, valued at over R39 000! If you’ve fallen out of love with your kitchen, the easiest way to rekindle your appreciation for this room is by giving it a facelift with new gadgets from Whirlpool. The brand name has become synonymous with trustworthy, innovative home appliances that’ll fit seamlessly into your home. The American brand’s latest range, 6th Sense, is especially great for the modern home, as it is designed to simplify every aspect of your household chores. 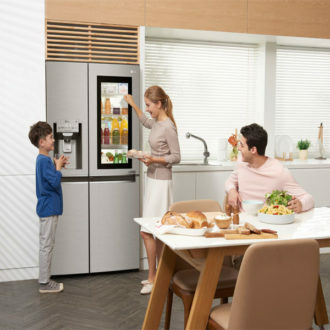 The collection’s technological feature is able to detect, change and control the functions of the appliances, so that they render optimal results and make your task easier – from cooking dinner to doing the washing. 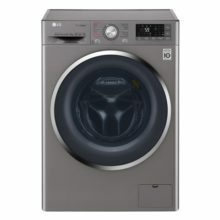 For example, the range’s electric ovens have a Cook3 system, with 30 pre-programmed recipes, that allows you to cook as many as three different dishes at the same time; while the front-loader washing machines have a special drum movement that can sense the size of your laundry load and alter the resources used accordingly, saving up to 50% water, energy and time. The combi fridges and freezers are equally fantastic – each has two separate no-frost features for the fridge and freezer, and they regulate temperature and humidity levels to help you preserve power and food all at once! Make space in your kitchen for all these marvellous goodies. This month’s giveaway, worth over R39 000, features stunning appliances from Whirlpool’s 6th Sense range to streamline your household-chore routine. For your chance to win, simply answer the following question: How many Whirlpool kitchen appliances are included in the hamper? 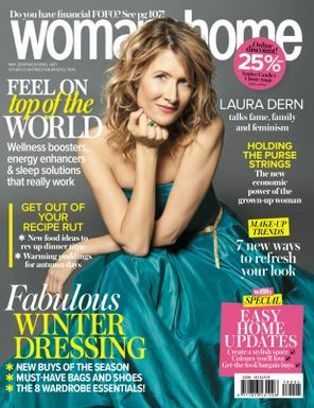 To find the answer, go to page 137 of the November 2018 issue of woman&home magazine. See whirlpool.co.za for more information on Whirlpool and its products. 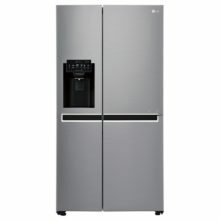 Win One LG P-Veyron Refrigerator, Worth R24 000!